This book provides technical overview of GIS, GPS and their integration, before focusing on a selection of R&D activities in applications that range from intelligent transport systems to real time location based tourist information systems. It also examines current commercial applications that use combined technologies from the point of view of superficial integration and deep integration. 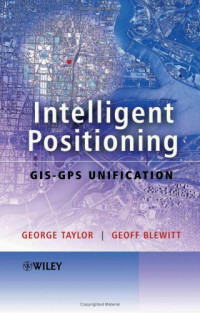 A first GIS-GPS integration book looking at applications that combine GIS and GPS to provide one solution. Provides overviews of GIS, GPS and GIS-GPS integration for those who are less familiar. Each chapter contains case studies to illustrate the end product or commercial activities that research can lead to. Focuses on fundamental principles and concepts. This book is an essential read for postgraduate researchers and advanced students working with technical aspects of GIS/GPS in Departments of Geography, GIS, Geomatics, Geodesy and Software Engineering. It would also be valuable for professionals involved in GIS/GPS systems development in the fields of software engineering and communication.